Without fail, several times a week, I am asked to evaluate and give my opinion on a protein shake. There are so many of them out there, that it can feel like a daunting task for someone to try and find healthiest ones. First, most important, is the question of whey vs soy. Even though many nutritional companies, doctors and media outlets jumped on the soy bandwagon several years ago, we now know that soy is a substandard protein. Soy can affect your hormones in a negative way, does not build lean muscle or prevent muscle wasting as effective as whey protein, and unfortunately, the majority of our soy crop is now genetically modified or GMO, which we know is dangerous to our long term health, (say thank you to Monsanto for that, but that is a topic for another day). Undenatured whey protein is among one of the most alkaline foods, builds lean muscle very effectively and also helps in preventing muscle wasting. There is no doubt now, most scientists, nutritionists, sports coaches, and doctors in the know agree that WHEY protein is the WAY to go..
Second, let’s look at sourcing. 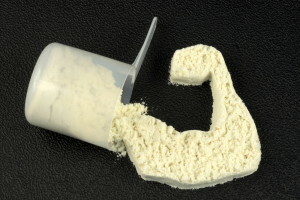 Most companies I research, I am totally unable to find out where the whey is sourced from. The optimal situation would be a clean source, where the cows are pasture fed, never given hormones and antibiotics, are only milked on natures schedule, and never graze on lands or hay that have been sprayed with chemicals or pesticides. There is no source in the US, that I know of, that can supply a source this clean. So the supplier would have to come from another country that is a green environment. It is also important that the whey is never heated to point of killing all of the good nutrients and probiotics, the term for that being “undenatured.” The amino acid compounds must also contain long, medium and short chain amino acids. If your protein source does not fall into all of these categories, then the company has taken a substandard foundation of dead, dirty protein in which to build their main nutrition…. Imagine building a house on an unstable foundation. It would not matter how pretty the house you build on that foundation, or how immaculately you decorate it, the base will always be poor and substandard, and in time will cause more problems than it solves. This is the same with your protein shake, if the base they start with is crappy protein, then no matter how great the rest of the ingredients are, it will always be built on a poor base, and in turn will cause more harm than good. Third is the presence of probiotics and digestive enzymes that are alive and active. Don’t be fooled, just because you see them on the label, does not mean they are alive. Any protein shake that is not undenatured, is not a live food. Fourth, Fifth, Sixth and Seventh, is an interesting balance between calories, grams of protein, digestable and bioavailable nutrients and mixing suggestions. The calories should be enough to work as a meal replacement (240 to 300) at full strength and a snack (100 to 200) at half strength. The protein and ingredients must be easily broken down, digested, and bioavailable to the system. 80 to 90% absorption rate is optimal, but almost impossible to find. Interestingly, most companies and distributors cannot even answer this question. The best grams of protein is between 32 to 35 grams. The body can only metabolize 32 grams of protein at one digestion, so at a 90% absorption rate, this is almost perfect. The recommended mixing directions should be with filtered water. Any shake that calls for mixing with milk is just adding insult to injury, as most people will not use organic, clean milk. So on top of using a substandard base, you are now adding growth hormone, antibiotics, and sugar to your protein. Eighth, is the sweetener. A low glycemic, natural sweetener is a must. Any artificial sweetener is absolutely out. There are over 100 different names for artificial sweetener, so make sure to look at the label closely. If the shake is sweet to the taste but says 0 grams of sugar, that is the first clue. The whole list of side effects of chemical sweeteners is extensive. Too long to talk about now. Google it, you will be amazed and horrified. Ninth, is the extensive ingredient list. Some things to look out for is corn, artificial flavorings (which many times can be MSG), high fructose corn syrup, geranium oil, partially hydrogenated oils, dyes, harmful chemical preservatives, items on the fda unsafe ingredients list, items on the anti doping agency list, (both agencies have a list posted on their websites) and artificial sweeteners are a few to watch for. Tenth is obviously taste. I have found that when most people, who have an imbalanced ph level, will think that the substandard shake tastes great, and the more alkaline, better shake does not taste as good at first. When you stick with the alkaline protein, your body will adjust as it alkalizes and the shakes will begin to taste better. Usually that time frame can be 1 to 5 days until your body begins to crave the clean protein. So remember the better that something very acidic tastes to you, the worse shape your system is in. Time and time again, I have found this to be completely true. I know that this was a long explanation. What we put in our bodies every day has a direct effect on our long term health. 85 to 90% of daily performance and health is directly affected by our nutrition or lack there of, especially for athletes. Protein is such an important issue, I hope that this helps you make a clearer decision when choose a protein shake. Thank you for spending some time in my brain. maiecfginnt points altogether, you simply gained a brand new reader. What would you recommend in regards to your post that you made a few days ago? Any positive? Thank your cousin for suggesting the article. I wrote this myself, but would love to chat with you. May I just say what a comfort to uncover somebody that genuinely knows what they are talking about over the internet.